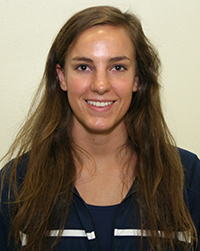 APPLETON, Wis. — Lawrence University standout Paige Witter was named the Midwest Conference Swimmer of the Week following her performance in the team’s season opener. Witter (Denver, Colo./Washington) was among the top finishers from the Midwest Conference at the massive All-Wisconsin Showcase last Saturday at the Walter Schroeder Aquatic Center in Brown Deer, Wis. Competing against several NCAA Division I teams and teams from the powerful Wisconsin Intercollegiate Athletic Conference, Witter grabbed 10th place in the 200-yard butterfly in 2:21.99. She also placed 19th in the 100 butterfly in 1:03.79. Witter then teamed with Danielle Millin, Emmi Zheng and Bridget Duero to grab eighth in the 200 medley relay in 1:57.72. This is the second time Witter has been honored by the conference during her career. She captured Swimmer of the Week honors on Dec. 17, 2013. Lawrence returns to action on Saturday when it hosts Ripon College at 1 p.m. at Boldt Natatorium.